Deputy Chairman of Puttalam Pradeshiya Sabha has been arrested by the Mundalama Police last evening (21). This arrest was made with regard to the death of a person caused by falling into a dangerous pit on a road under construction. The road from Sembattai to Velasiya, which belongs to the Puttalam Pradeshiya Sabha, is currently under construction and a large pit has been dug out to build a culvert on the road. However, no warning signs indicating the dangerous pit had been displayed there. A person, walking down the road under construction, had fallen into this dangerous without a warning sign and sustained critical injuries. He had been receiving medical treatment at the Puttalam Base Hospital and succumbed to injuries yesterday (22). The deceased was identified as a 32-year-old man named Warnakulasuriya Nilantha Fernando, a resident of Suhadagama area in Madurankuliya. Preliminary police investigations have uncovered that the construction contract of this road had been awarded to the Deputy Chairman of Puttalam Pradeshiya Sabha. However, he had neglected to put up warning signs indicating the ongoing construction process of the road, according to the police. 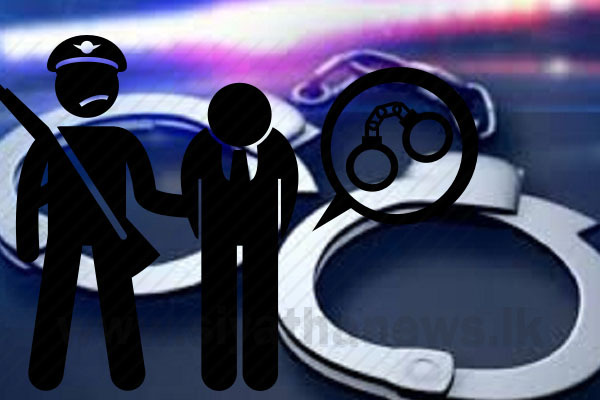 The suspect is to be produced before the Puttalam Magistrate’s Court and Mundalama Police is conducting further investigations into the incident.